I tried a slightly different approach to bobby socks trees in Yellowstone. I’ve always loved this stand and how symmetrical they are. The temps weren’t cold enough for fog this morning, so I used a motion blur technique to soften the image a bit. 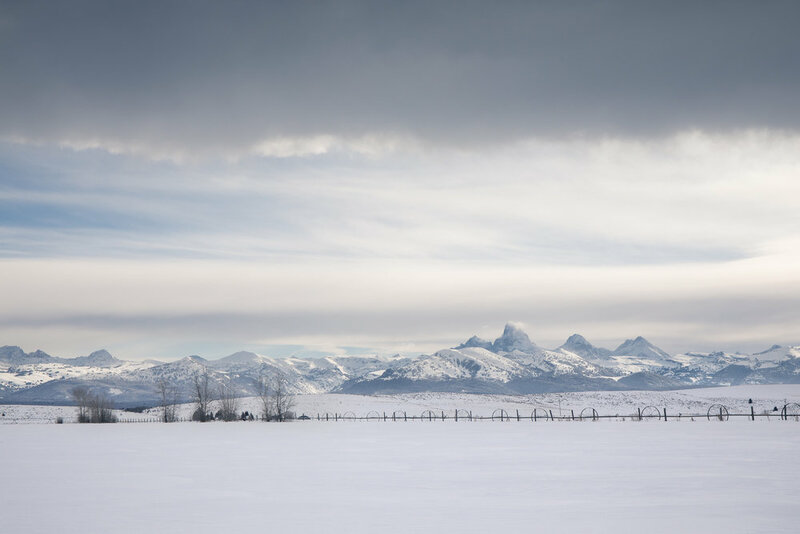 A slightly different view of the Teton Range...seen here from the western side towering over Idaho farmlands.